Today is the Fashionista’s birthday! A few weeks ago I asked her if she wanted to do anything special. She sent me the image below. So It’s A Pancake Party. A pancake party! Yes!!!! It seems fitting as she was born at 5:56 in the morning. Love the vintage syrup containers and happy canisters. I absolutely adore this happy paper and embroidery hoop mobile. You can view the full instructions HERE. A topping bar would be so much fun! How cute are these party favors? Wee mason jars filled with pancake mix and topped with a mini whisk. Everyone needs a donut kabob. Isn’t this vintage ad from Aunt Jemima fantastic? They used different flavored milk to create the batter. Flags and banners look even cuter on a stack of hotcakes. HERE is a cute free pancake themed printable set. As you read this I’ll be making citrus flavored pancakes (yellow) rose flavored pancakes (pink) and blueberry pancakes (blue of course) topped with one lovely candle for her to make a wish. Mine already came true. Happy Birthday my darling girl! I gave birth to the Fashionista as a 220-year-old girl, alone (aside from 2 nurses and a Dr.) with no epidural. The whole beautifully exhausting experience left me so hungry I ate two huge breakfasts of French toast, bacon and eggs while she slept peacefully by my side. Happy Birthday to your Eden! The idea of a pancake party is inspired. You posted so many wonderful ideas here and the pictures are lovely. I love the photo of you and Eden. I was 20 when I gave birth to my Angela and your photo brought back some sweet memories. She will turn 42 this year. Happy birthday to your girl! Yes, times have certainly changed…there's almost not enough room for the doctors and nurses in the room anymore! We were alone back then. I never thought of a pancake birthday! Obviously TONS of other people have! Great pics and ideas! Happy birthday to the Fashionista, and OMG those party ideas are wondrous! Can you adopt me….please?????? Well, first HAPPY BIRTHDAY to your Fashionista! Second… I love this idea and really really wish I had seen it before my daughter's birthday. She would be all over this. I got SO MANY wonderful ideas from this one post that my head is sort of racing. I must. 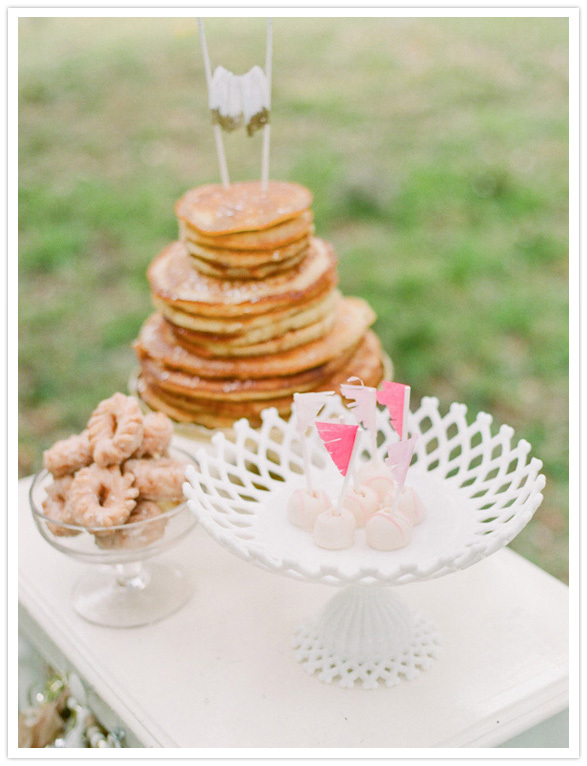 Repeat, must… throw a breakfast party. I love this!! Happy birthday to your Fashionista…What precious gifts daughters are! By nature, I'm not a breakfast girl but your photos and descriptions could easily make me a convert! Happy Birthday to your daughter and I'm sure it will be grand with you at the helm of the celebration. Have a lovely week, Laura. PS Love the photo of you and your baby. Happy birthday to your daughter and you. Darling photo of you and her. Happy Birthday to the Fashionista!!! I thought you would do the sprinkles pancakes…that covers all the colors at once! You know that I am not a pancake eater? I just have never really cared for them. 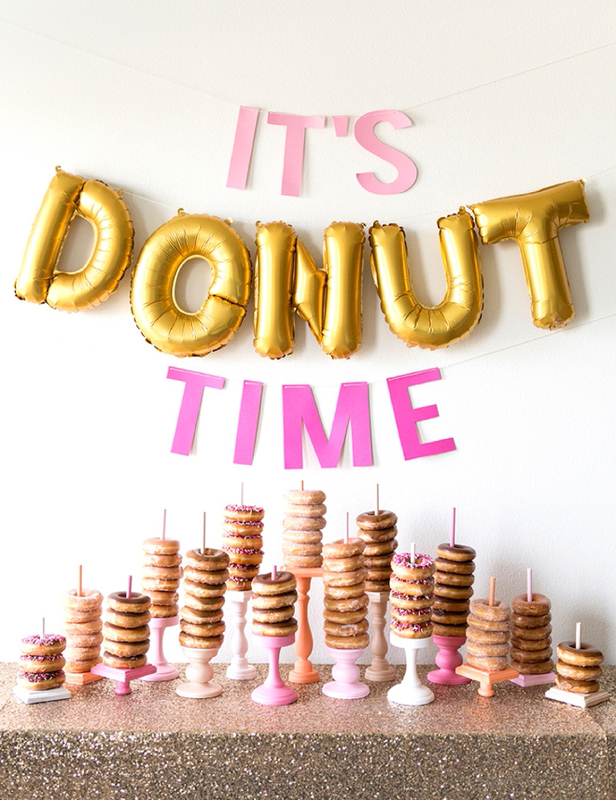 Once a year maybe I will have a couple…now donuts…that is a whole other story!! Happy birthday to your darling daughter Laura! 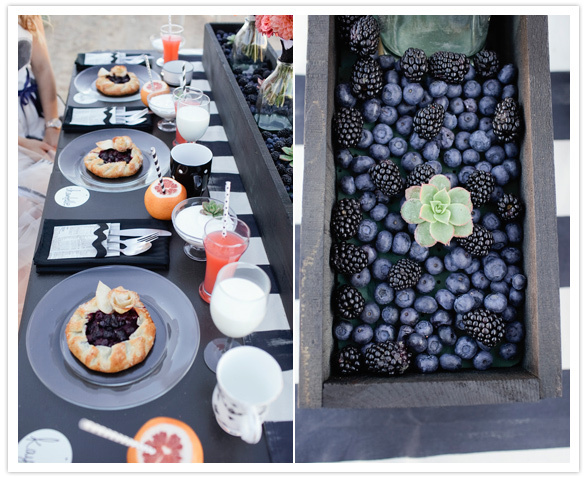 Truly a breakfast celebration is such a fun and refreshing alternative! Love all the inspiration here! Even then, you had a pretty bow in your hair, ALWAYS one for the details I see. 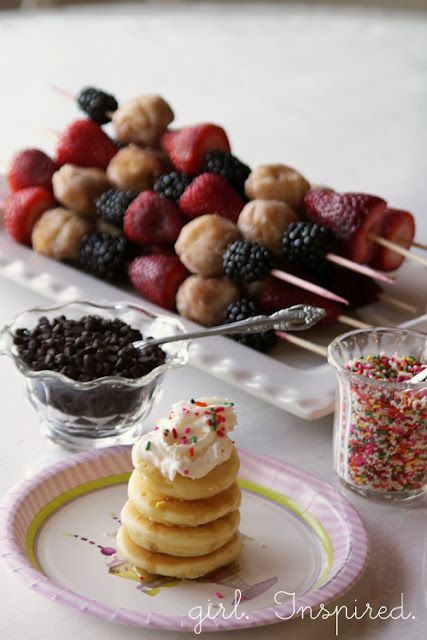 Those donut and fruit kabobs are SUCH an easy and clever idea. I am not much of an (American) pancake person, although all these photos could make me change my mind. To me a pancake is large, very thin and nearly always just drizzled with lemon juice and sugar. No syrup in sight. I think you call those crepes here, and they are not that popular it seems, at lease not as popular as your American pancakes. Bonne Anniversaire My Dear! Sending you warm wishes from Paris and hoping both of you will join me here on day! Dear Laura, Just look at you and the Fashionista! How the years go by! You are always so creative and clever; ideas galore here.